3BR, 2.5 bath ranch on ~2 wooded acres off of a quiet cul de sac. Located 45 minutes northwest of Chicago. 2 car attached garage, 3 car detached garage + storage shed with circular driveway and extra parking space. Spacious living room with limestone fireplace large floor to ceiling picture windows with views of the wooded front yard. Many improvements include remodeled kitchen with stainless steel appliances and quartz countertops; walkout backyard deck; updated main bathroom with double sinks; energy efficient windows; new flooring, lighting and ceiling in basement. 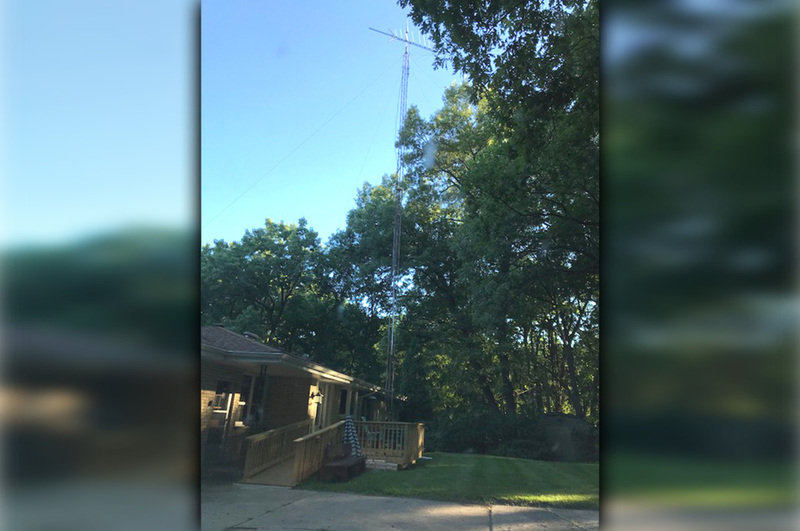 HAM FRIENDLY – ~60 ft fold-over tower and basement radio room. Contact the owner of this property by using the Inquiry Form on this page.